Browsing and shopping on the web can put you at the mercy of identity thiefs. 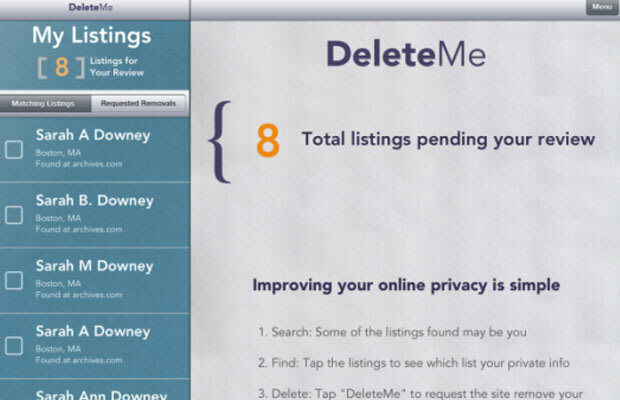 But weary customers can now take control of their personal information online with DeleteMe, a new app developed by Abine. The app is partially powered by humans to ensure data brokers delete personal info from their databases. According to Sarah Downey, an in-house online privacy analyst for Abine, periodic contact with data brokers is important since data is typically added back months after being removed. "Although a majority of cell phone app users (57 percent) have uninstalled or decided not to install an app due to privacy concerns about the app&apos;s use or access to their personal information, there&apos;s a serious lack of privacy apps on the market to address these concerns." An Android version is currently in the works, but iOS users can download DeletetMe now for free here.